Salmon is something I cook at least a couple of times a month, especially when I want a light and nutritious meal with lots of flavors. 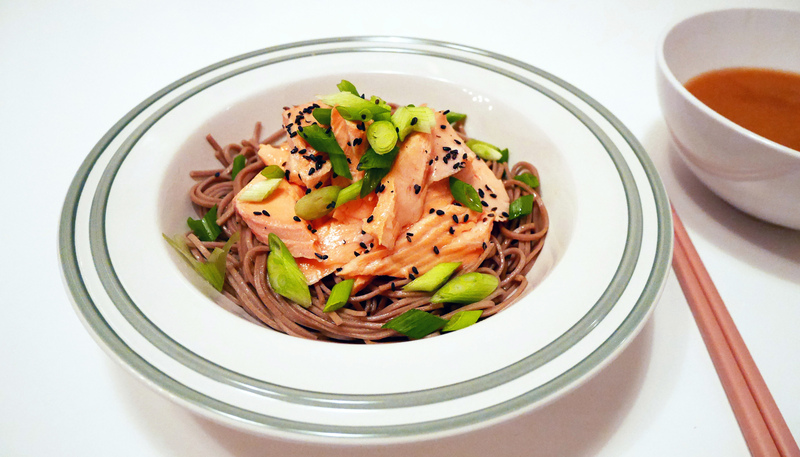 I really enjoy poaching salmon because it keeps its flesh ever so delicate and moist as well as being healthy. For me the best part is to be able to play with poaching liquid with different ingredients. In this post I will be sharing a recipe with classic Asian flavor combination of miso and ginger. No matter what you have in the liquid, the key is not to poach your fish in a boiling hot water. Let’s face it, there is nothing worse than tough and overcooked fish (well, besides overcooked chicken)…Anyways, I promise this is not going to be one of those badly cooked fish dishes. I believe when you have a beautiful ingredient like this you really should make an effort to do it justice. Add and mix all ingredients for the poaching liquid in a pot. Bring it to a boil and turn the heat down to medium. Simmer the liquid for 5 minutes and turn the heat down to very low, as low as you can. Make sure you only see a few gentle bubbles or less and place the salmon (skin side down if it is on). Add a little more water if the fish is not completely covered. Stay in a very low heat and poach the salmon for 12 minutes. Meanwhile, cook dried soba noodles in a boiling water for 4-5 minutes. Drain, rinse briefly and season with soy sauce and sesame oil. After 12 minutes, remove pot from the heat, cover it with a lid and leave for 3 minutes. 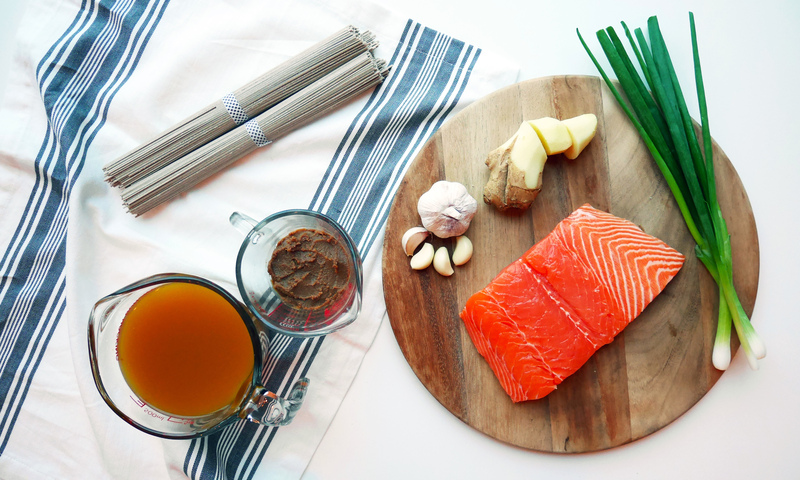 Carefully take out the salmon (do not throw away the broth) and set aside to cool for a few minutes. The fish should be cooked to tender medium, opaque outside and slightly translucent in the middle. If you are using a fillet with skin, gently remove it when the fish is cool enough to handle. It should come off quite easily. 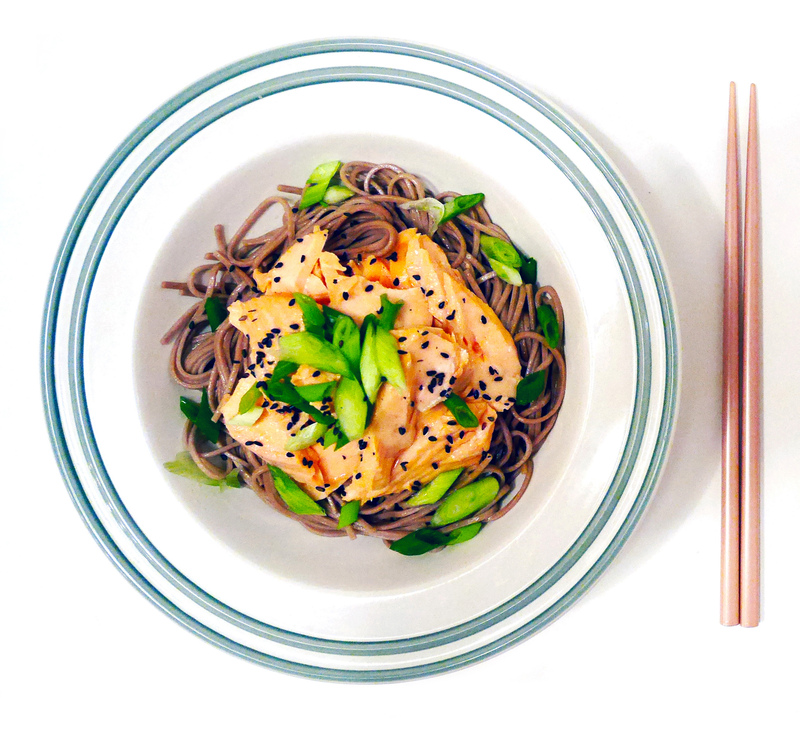 Plate the noodles and fish with chopped spring onions and toasted sesame seeds. 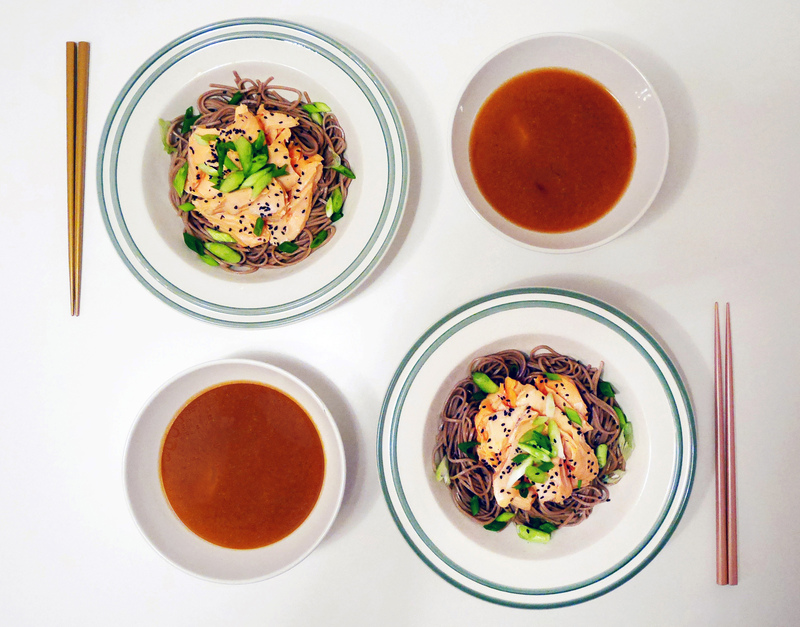 Serve it with a bowl of miso and ginger broth you cooked salmon in. Thx Nandini ☺️ You can easily make this, or if you’re ever in HK, give me a shout! Thx Charlotte :-). I just went to SZ last weekend and had delicious sweet and sour pork! If you are ever in HK, let me know ;-).